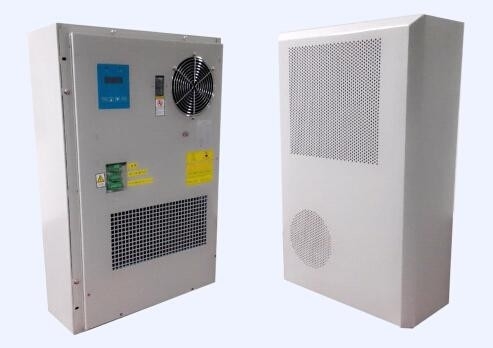 The manual mainly includes TC06-150JFH/01(KT029) air conditioner’s application, technical parameters, operation instruction, product installation and maintenance, etc. 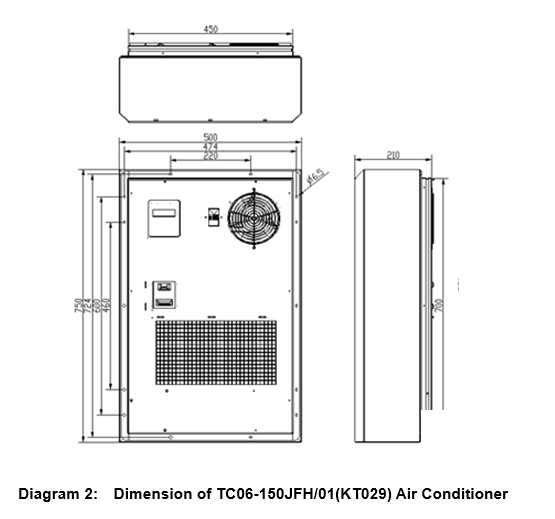 The manual only apply to TC06-150JFH/01(KT029) air conditioner. Our company reserves the right of final explanation of the content of this manual. 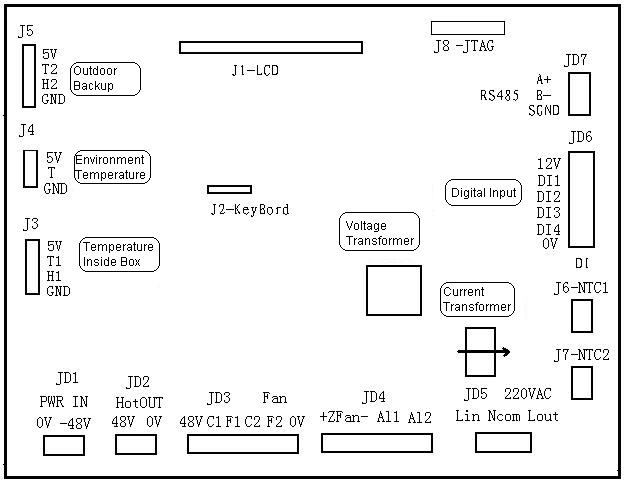 TC06-150JFH/01(KT029) Air Conditioner is a full automation temperature control product. It uses intelligent controller to control the whole system of the air conditioner. According to the variation of environment temperature, the intelligent controller can automatically detect, operate and record the whole system’s operating time, power consumption, event and historical data. It can store 100 event records and 1280 historical data records, and can enquire 256 days’ daily record information. The product is widely applied in telecom cabinet, small and medium sized telecom room, UPS room, outdoor base station room, etc.